Are you new to the world of Twitter? Does talk about hashtags, retweets and followers make you confused? At Wishpond, we want you to be the best business marketer you can be. We’ve put together a list of 10 basic glossary terms you need to know about Twitter, to make you sound like a tweeting pro. @connect: The @connect button shows your interactions and mentions. You can send someone a tweet by using their handle and they will see this in their @connect feed. DM: Direct Message. You can send reciprocated followers a direct message. It is a private message. Feed: Your Twitter feed (also called a timeline) is your list of updates from users you are following. It is also where your tweets appear to your followers. Your list is constantly being updated, in real time. Follower: A follower is a Twitter user who has clicked on your “follow” button and is subscribed to your tweets. Generally, the more followers you have, the wider reach you have on Twitter. Handle: Your Twitter handle is your username. For example@wishpond means you can find us at www.twitter.com/wishpond. #’s: Hashtags. Hashtags are a word or word phrases after the number sign (#). Hashtags can contribute to making your tweets go viral, and creating and connecting with communities on Twitter. They are a way to organize topics around the world on Twitter. You can make your own #, such as to promote a particular product or contest. You can join popular #’s to get your message heard further and increase brand awareness. Lists: Twitter lets you categorize users that you follow. This is a great way to follow certain groups of customers or information sources, particularly when you are starting out, or when you follow many fellow twitterers. RT: Retweet. A Retweet is when your tweet gets shared. Twitter is all about sharing things that your followers might find interesting, useful, or entertaining. When you use Twitter well, your Tweets will get retweeted. This expands your reach exponentially, as your tweet is seen in the retweeter’s feed to their followers, and so on. Trending: When a hashtag or topic is the most popular on Twitter, it becomes trending. Your Twitter homepage has a list of the top ten Trends on the left hand side. These are constantly being updated, and they are tailored towards you and who you are following. You can change the Trend from worldwide to more localized Trends. Tweet: The most basic of definitions your need to know. A tweet is a message posted via Twitter containing 140 characters or fewer. 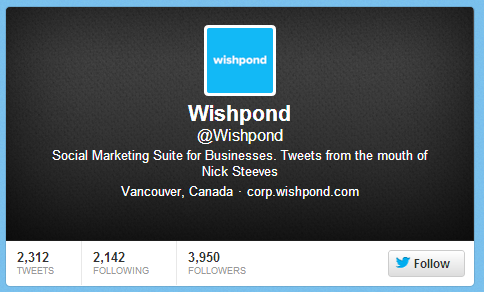 Once you are started on Twitter, check out Wishpond’s Social Promotions for Twitter. They’re an easy way to engage your Twitter followers and potentially get your hashtags trending. Twitter Basics: How Do I Setup a Twitter Account? Are there Videos to Learn How to Use Twitter?